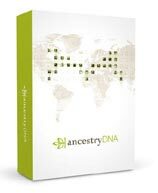 Are you ready to show off your genealogy research in a book? Well, then here are 5 more points showing you how to make a family history book. So, what are you waiting for? Please read on! There’s more to know to create a family history book? 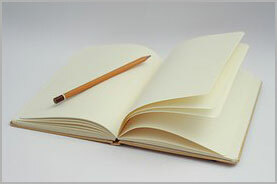 By now from the first part of this article, How To Create A Family History Book, you will know what part of your family tree you will want to explore and write about. You will also know what kind of book you will want to write, by when you want it complete, and where to collect information. Well, I will cover five more points to help you write a family history book that you can be proud of. And on top of that a book that will be cherished for generations to come. How To Introduce Your Ancestor? How To Create A Family History Book – Part 1 – Discusses how you should research your family tree, what kind of book to write, deadlines, where to find information, and more. How To Write A Family History Book! – Asks you who are you writing for, what theme your book will take, how to tie in key historical events, piecing together the timeline of your ancestor and reviewing your book. Making A Family History Book Can Be Fun! – Discusses the layout of your book which includes the cover, contents, foreword, and more. 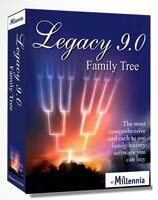 Publishing a Family History Book – Discusses what software to use, how to write your book, charts and more. In the previous point I discussed in detail that you could read local history books and also books about occupations. This will help you build up a picture of what your ancestors lives were really like. I also briefly discussed that you can use certificates, heirlooms, photographs and family stories to fill your family history book. Anything that you find around the house or that has been given to you by relatives can be put into your book, with permission of course. However, DO NOT go overboard. Use caution with all the information! Stuffing all of your family documents and records will create a book that is bulging at the seams and will be information overload for you and for your readers. You do not want to overwhelm who’s reading your book. All records concerning can be filed and stored away but not all of them need to be put into a book. Try being selective and put in documents that are unusual, unique or that prove a point that you have made. You DO NOT need to put in the full record but merely an excerpt if you wish. This will also help cut down the size of your book. When you include any document or record be sure to caption it. This way it will be clear to your readers exactly what you are referring to and how it relates to you. This can also be done with any charts that you have created with your genealogy software program, maps or illustrations that you have. These programs are great at creating extra pieces of information that you can put into your book. We have looked at ways to show what our ancestors lives was really like. This has been through records and documents that you have, as well as heirlooms, photographs, charts, and maps, etc. Looking at stories can also add to the detail in your book. But who were your ancestors? You may have heard stories and anecdotes that have been passed down through the generations to you. Why not include these as well? They are just as much a part of your family history as the physical documents that you have. Also, if you do not include them then you will risk the possibility of losing a part of history. And they will be gone forever. Hearing old family stories is what got me interested in family history. It it is the reason why I created this site. These stories can add to the life story of your ancestors. It can help build up a picture of what they were actually like. The stories can be amusing, interesting or just cover the daily life of your relative. But they are still a part of history that needs to be remembered. By now you have amassed quite a collection of notes, documents, photographs and a lot more on your ancestor. It can be quite overwhelming with all this information in front of you. To make sense of it all you will have to put them in order. To do this for each ancestor try putting your files in chronological order. You will then be able to see their entire life from birth to death. By doing this you may also see if there are any gaps in your research. Organizing is a great way to check if you have all the information on your ancestor and to find out what more you need. If you can not find anything on your relative for a given period then just state this in your book. Ordering makes your book more readable! 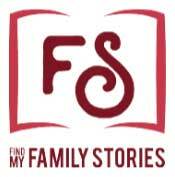 Anyone reading your book, whether a relative or just a casual reader, they may wish to carry on the search for more information on your ancestor. With a chronological order you can tell your ancestor’s life from beginning to end. If you continually jump around from old age to childhood then this will be quite confusing for your reader. Maintaining order to your story will obviously make the story of your ancestor’s life far clearer. 9. How To Introduce Your Ancestor? I have already discussed that you will need to order your notes on your ancestor, telling their life from beginning to end. But consider using a hook to grab you reader’s attention. This hook may be from a later stage in their life. Here you will need to mention something of interest. This way the reader will be intrigued to know more about the person and will continue reading. Starting off with “My grandfather Bert was born in Norfolk, England on May 27th 1827” can be quite boring. Start off with an interesting story or point in your ancestor’s life. Your reader will be hooked and will want to know how they got to that point in their life and what happened afterwards. For example, did your ancestor have to migrate to escape poverty and to make a better life for themself? You could start off with this point. Then you can start telling the story of your ancestor’s life up to that point and then what happened after they relocated. Your book doesn’t have to be just a different form of what your records hold. Try to put some heart and soul into it. I have done the same with my family history book and I feel so much closer to my ancestors because of this. By researching my ancestors more and discovering why they made the decisions that they made I became more connected with them. And as a result I wanted to learn more. If you have written a lengthy account on your ancestor then you will need to include an index. By doing so you will be able to find where to add to if you come across any new information during your research. Also, an index will be invaluable to your readers. Your readers may not be interested in the whole life of your ancestor but maybe a part of it that affects them. For example, your ancestor maybe a sibling of your readers and they may only be interested in what it was like growing up for them. They may not be interested to know what happened to your ancestor after leaving home. Don’t take this to heart though. We are all unique. So, your cousin will probably be interested in your common ancestor on your paternal line, but maybe not for your maternal line. An index is therefore invaluable to your research and to your readers experience. You could also include a surname index and also a place index. Need to cite your sources! Adding source citations will also prove that you have actually carried out research on your ancestor. Source citations are also useful if say anyone wants to continue exploring your family history. They will have an account of your ancestors and where to find the information that you have used and found. So, please cite all of your sources of your information. I hope you enjoyed this article about how to make a family history book. If you have any questions or comments then please leave a comment below. Thanks for sharing this article. I really liked it. I got a lot of information from it which I can use to write my own family history book. You’re welcome. I’m glad that you liked it and found it useful.